In an age where the Internet makes everything available to everyone, a hotel’s online presence plays a very crucial role in its ability to attract new and return guests. Recent studies have shown that majority of consumers have visited a company’s website and have gone as far as reading online reviews prior to making a purchase. This is especially true in the hotel industry where a majority of guests checking in to a hotel most likely already knows what to expect prior to even checking-in. Whether the hotel has great service or is in a bad location or serves bad breakfast or if it has great room interiors – count on majority of the guests to already know exactly what they’re paying for. So the fact that travelers want to know where they’re staying even before they stay there brings attention to the importance of having a fully functional and well maintained website with updated content. Aureo Hotels & Resorts, the first of its kind and the newest 4-star resort hotel in La Union, thrives to be a pioneer in the industry. Boasting with 58 distinctly designed rooms, Aureo La Union is everything you would expect it to be. Each room has a beautiful view of the well-manicured garden or the architecturally designed swimming pools, perfect for lounging after a day at the beach. Guests are likewise treated to the magnificent view and the majestic sound of the ocean while eating their meals in the restaurant overlooking the wide stretch of the San Fernando beach. Established in 2016, Aureo Hotels and Resort is the best place for relaxation and rejuvenation that is only a three-hour drive away from Metro Manila. Like many other hotel resorts located near key beaches in the Philippines, Aureo strives to reach out to its guests not only by offering top notch service within the resort premises but also thru different online channels, such as thru its new state-of-the-art website, where guests can view the different amenities of the resort, as well as the latest news and promotions of the hotel. Guests can likewise book their preferred rooms thru the website and receive immediate confirmation from the hotel upon booking. Aureo Hotels & Resorts aims to be a forerunner, setting a very high standard for the resort hotels in San Fernando, La Union. By constantly improving its amenities and guest services, Aureo aims to give guests a different resort experience. 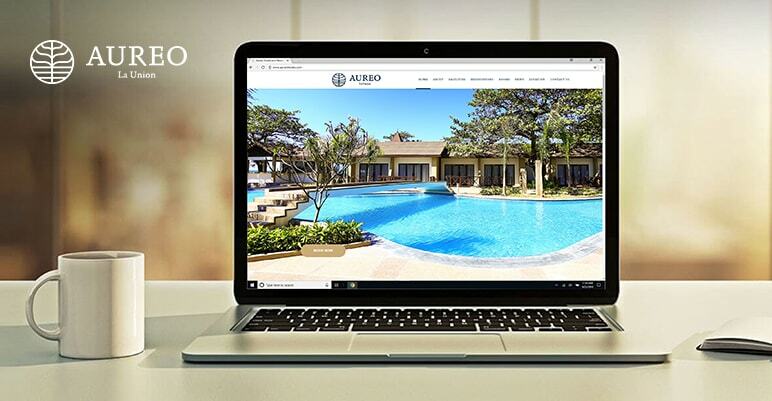 Aureo would then like to invite all of its guests to continually visit its website for promotions and updates and to give feedback to the management on how they can better make your beach holiday an even unforgettable one. Contact us for bookings and reservations now!